Nearly a decade after he became prime minister, Stephen Harper has resigned as party leader following a decisive defeat by Justin Trudeau’s Liberals. “It has been an unbelievable honour to serve as your prime minister,” Harper told the crowd shortly before 10 p.m. local time. Harper congratulated Trudeau, but also emphasized that his party had managed to elect a “strong Official Opposition.” The Conservatives were leading or elected in about 100 of Parliament’s 338 seats as he gave the speech. 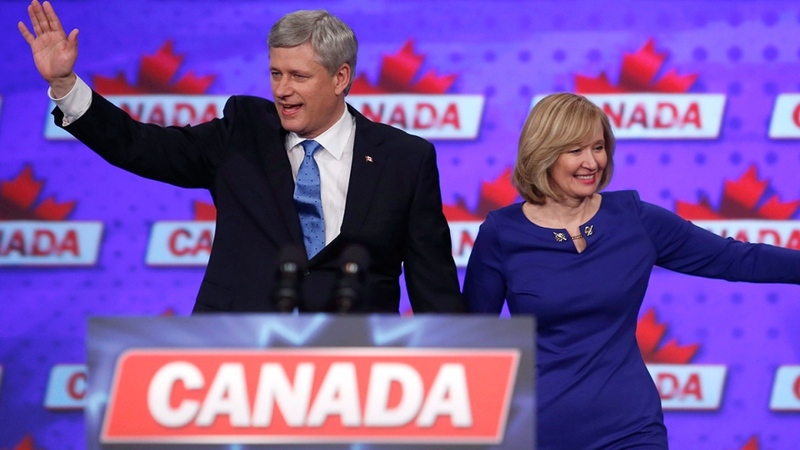 “The disappointment you feel is my responsibility and mine alone,” Harper added. It’s a far cry from his speech on Jan., 23, 2006, when he first rose to power. Three mandates later, including a strengthened minority during the 2008 financial crisis and a strong majority in 2011, many would disagree that Canada hasn't changed. In a 2013 speech at his party’s convention in Calgary, Harper outlined some of the ways he believed his government had, in fact, changed the country. Harper started off by pointing out that the Conservatives had lowered taxes, including cutting the Goods and Services Tax from seven to five per cent. From his early days as Reform party MP, he had always preached lower taxes and smaller government. In the 2013 speech where he outlined his accomplishments, Harper had also lauded the fact that, instead of a national day care program, his party was sending Universal Child Care Benefit cheques to parents. “We took money out of the hands of the lobbyists, academics and bureaucrats,” he said. The practice of sending child care cheques is now so widely accepted that the NDP vowed to keep sending the UCCB, and the Liberals have committed to even bigger cheques. Harper also mentioned his motion recognizing the Québécois as a “nation” within Canada. Although his party has never won many seats in Quebec, anxiety over sovereignty waned during his tenure. 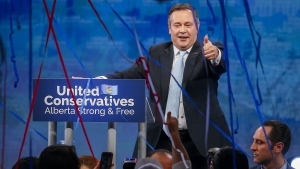 Next on his list in that convention speech was the Safe Streets and Communities Act, which Harper said, “cracked down on repeat, violent offenders, sexual predators and drug traffickers.” The bill also controversially took away judges’ discretion through mandatory minimum penalties for some crimes. He also praised his party’s handling of the Canadian economy during the global financial crisis, and an expansion of free trade. That 2013 speech was notable too for what it didn’t mention. 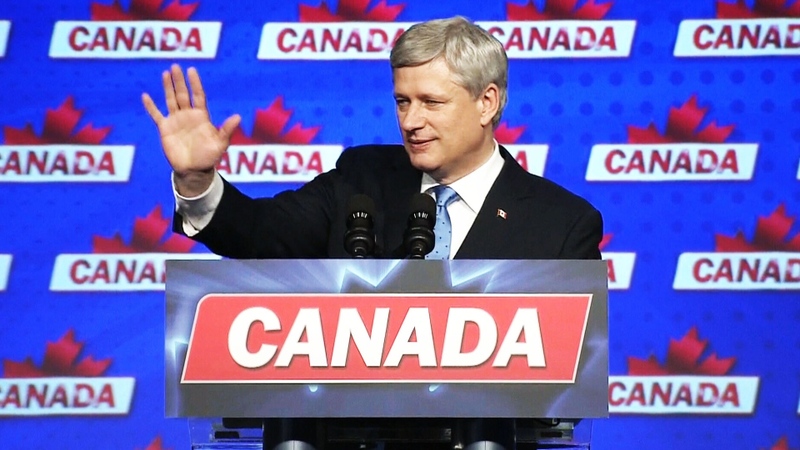 Harper avoided talking about climate change, after pulling out of the Kyoto Protocol in 2011. He also ignored Aboriginal issues in the speech. That wasn’t surprising considering he cancelled Paul Martin’s $5-billion Kelowna Accord with Aboriginal peoples, and rejected a steady drumbeat demanding a national inquiry into missing and murdered Aboriginal women. Harper was widely criticized during his tenure for eliminating the long-form census in 2010 and was accused of “muzzling” tax-payer funded scientists. Harper rose to power on a promise to clean up Ottawa following the Liberal sponsorship scandal. His Federal Accountability Act did manage to limit union and corporate donations to political parties and set out rules for lobbying, but it was perhaps later overshadowed by his party’s own ethical scandals. Most notable, perhaps, were the Conservative senators suspended for questionable expense claims, and the trial of Sen. Mike Duffy after Harper’s chief of staff Nigel Wright wrote a cheque to cover Duffy’s expenses. Harper cabinet ministers, NDP critics: Who lost their seat?